John Stezaker, Painting, 2013-2016. Collages on paper, 8 parts. Each part 53 x 42 cm, overall size 53 x 450 cm. Courtesy of the artist. By appropriating classic film stills, vintage photographs, old travel postcards and book illustrations, John Stezaker makes mesmerising collages of a surrealist-like quality that depict invented personalities, landscapes and scenes. With immaculate precision, Stezaker fuses fragments of different pictures through slicing, overlaying and conjoining, thereby giving found images a new meaning while exploring or revealing their subversive quality. Painting (2013-2016), a sequence of eight collages, was completed during Stezaker’s curation of the exhibition Turning to See: From Van Dyck to Lucian Freud, which explored ideas of turning and metamorphosis in portraiture (Birmingham Museum and Art Gallery, 2016). It responds to a key series of work in Birmingham’s collection: Pygmalion and the Image (1875-78) by Edward Burne-Jones (1833-1898). Stezaker describes Painting as a contemporary allegorical reading of this major story from Greek mythology in which Pygmalion falls in love with his own carved sculpture of a woman, Galatea, who is brought to life by the Greek goddess Aphrodite. The ambiguous collages in Painting predominantly consist of a succession of rhomboid holes through which pairs of film stills are intercut. The images come from a small collection of film stills featuring fictional artists, collected by Stezaker over a number of years. 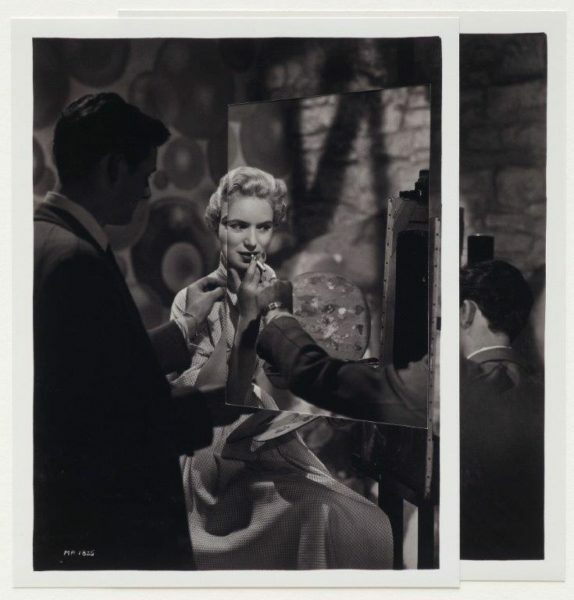 The intercutting encourages the viewer to see the film stills, now appearing translucent or mirror-like, in a different light. There are two key moments of connection between Stezaker’s collage sequence and Burne-Jones’s series: the female figure as both muse and painter, and the sexual reversal of the male lighting the cigarette and sparking the muse. 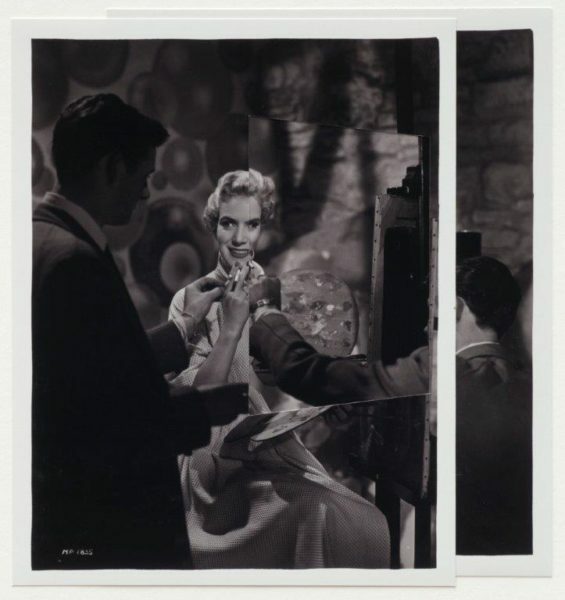 Stezaker equates the lighting of the cigarette to the sparking or triggering of the muse in the Pygmalion series. Prior to the acquisition of Painting for Birmingham Museum & Art Gallery, Stezaker’s widely known collages were not yet represented in a collection in the West Midlands, the region of his birth. Therefore, the acquisition supports Birmingham Museum Trust’s aim to increase the representation of artists with a close association to the region and city. It is also in line with Birmingham’s policy to actively collect high-quality works on paper to further develop their strong holdings in this area. 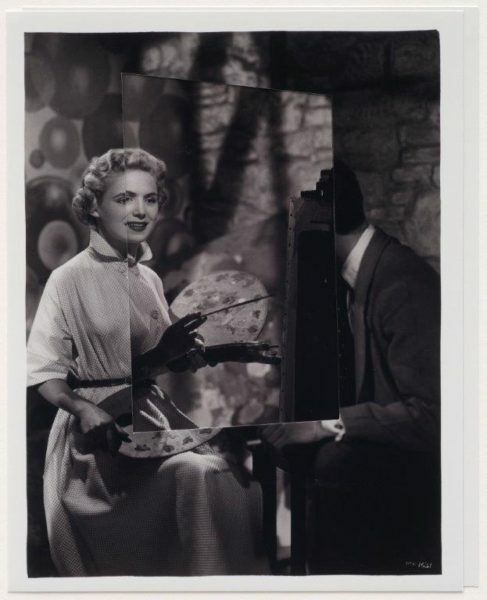 John Stezaker (b. 1949, Worcester, UK) studied at the Slade School of Fine Art, London, and until 2006 taught Critical and Historical Studies at the Royal College of Art, London. Solo exhibitions include Whitworth Art Gallery, The University of Manchester (2017); The Netherlands Fotomuseum, Rotterdam (2015); Tel Aviv Museum of Art, Israel (2013); and Whitechapel Gallery, London (2011). Purchased by the City of Birmingham Museums and Art Gallery Development Trust and the Tessa Sidey bequest fund with the support of the Contemporary Art Society, 2016 /17.